Energy Efficient and Green construction for new homes, remodeling and commercial construction recommends creating an air-tight envelope for comfort, safety and energy savings. To accomplish this, all electrical boxes on exterior walls and ceilings must be sealed air-tight. 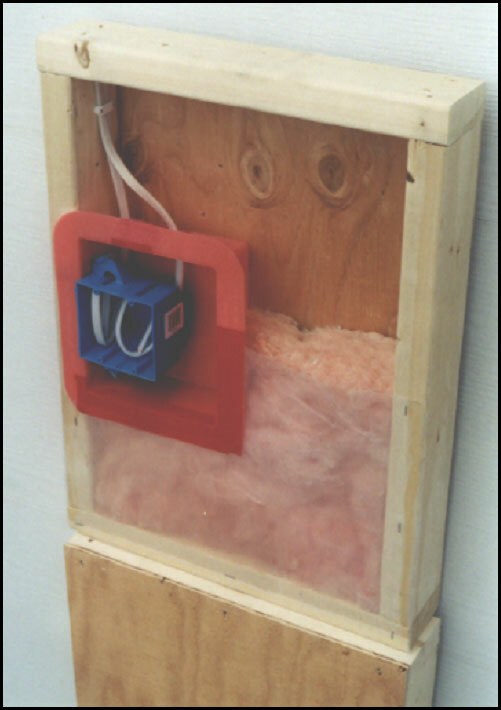 There are several ways to create air-tight electrical boxes. But the fastest, easiest and most effective way is to use the LESSCO AVB (Air-Vapor Barrier) Box. The LESSCO AVB Box air seals your standard plastic and metal electrical boxes in wood or metal construction using Romex, Armored cable, conduit or Low voltage applications. The LESSCO AVB Box works equally as well with membrane or Airtight Drywall Approach.